Gwen Jorgensen is concentrating all her energy towards one single objective, with her sights set on the 2016 Olympic podium. “I have one goal for this year and that’s the Rio Olympics on August 20th,” said Jorgensen. 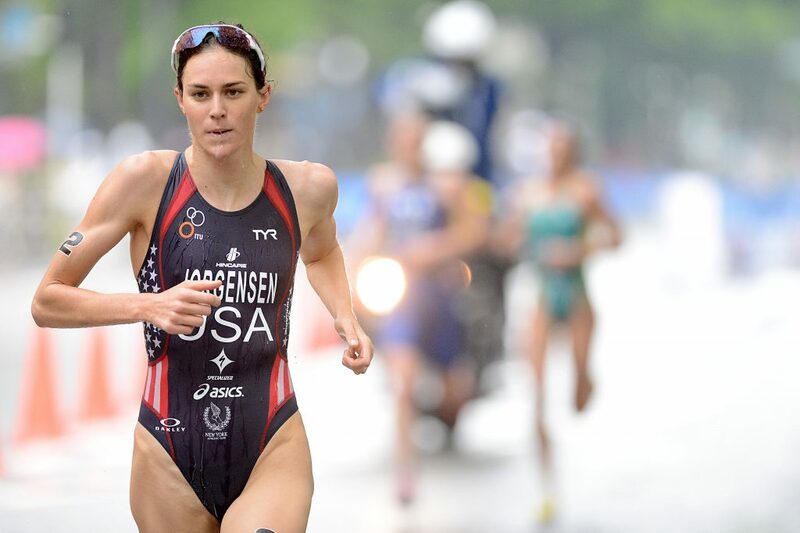 Six years ago, Jorgensen competed in her first triathlon after being recruited by USA Triathlon’s Collegiate Recruitment Program and just two years later she was competing in her first Games. 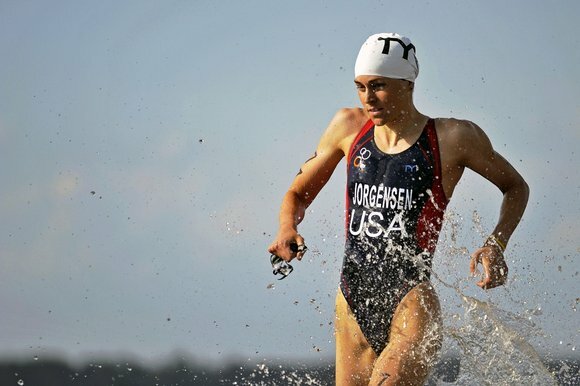 With her quick mastery of triathlon, it’s hard to believe that Jorgensen at one time doubted her Olympic potential. What was your reaction when the USA Triathlete team recruited you? What was it like finding out you had an aptitude for triathlon? I didn’t know triathlon was an Olympic sport when the USA Triathlon team recruited me. Triathlons weren’t really on my radar. I did my first triathlon after being recruited in 2010 and I got my Pro Card. My next race was an international competition and I won second place there, and that’s when I was thought, “Oh boy, this is something I should focus on more.” When I qualified for the London Olympics, I took a leave of absence from work and started focusing on triathlons because I believed I could be a world class triathlete. How are you preparing mentally for the Olympics? Every race is completely different and that’s something that I like about this sport. You go into a triathlon and you have no idea what can happen on race day. You have to be prepared for anything, which really makes it a hard race and makes it exciting to watch. The Olympics is going to be completely different from all the other races I race in…it’s something that we try to prepare for and try to have as many weapons in our tool bags as possible. How do you like the course that you are going to be racing in Rio? I was very impressed with the Rio course last year. The road conditions were great, everything was set up, road closures and everything; it was very safe. The course was really good, it’s tough, there is a big hill on the bike and that makes it an honest course, everyone is going to be tired. It will be interesting to see how quickly you can run after that hard bike ride. How are your competitors doing this year? I think everyone is trying to beat me and I’m trying to beat them. It’s really competitive and an Olympic year everyone really steps up their game even more. People are testing things out and really pushing their limits. You never know what’s going to happen on race day. Do you have any race strategies for Rio? I don’t really have a strategy because in a triathlon a lot of things can change and if you have one strategy you have to change that strategy in the heat of the moment. So I try to go in with an open mind knowing that there’s a lot that can happen during the race. I try to focus on the practice of swimming, biking, and running the best I can. How do you prepare for efficient transitions? Transitions are something that doesn’t happen with luck, it’s something we need to practice. Once a week, I go out to a parking lot and practice my transitions. I practice putting on my shoes and hopping on my bike. It’s the little things you do during a transition in a race that you need to practice in training. What’s it like to have all the pressure of the Olympics on your shoulders? I have a really good support team around me and I think that’s what keeps me grounded. I haven’t gotten too nervous yet, but I still have some time to get nervous. I get my confidence from training, so I’m building up. I think my training is going well. I’m trying to get fitter in the swim, bike, and run, and that’s something that gives me confidence. You can only do so much in racing, I want to go into the race and be as prepared as possible. Thankfully, I have my husband, Patrick, and I have my coach, David, who are really helping me get there. Do you have any tips for working out while you are constantly on the road? One of the things I love about running is that you only need one pair of shoes and you can do it anywhere around the world, that’s one way to stay active. When I travel, I bring little pieces of gym equipment; you can bring a little dumbbell or resistance band to do gym exercises in the hotel room. Besides training, what else helps to give you a boost of confidence before competition? I try to focus on the process of what I’m doing on the bike and run. Everyday, I write down three things I did well and three things I can improve. If I feel like I need more confidence, I go back and look at three things I did well in, and it gives me confidence leading into a race. How are you preparing for Rio after your streak at London? Going into every race, I wasn’t thinking about the streak at all. It was more of me wanting to go into a race and execute what I have been training for every day. I wanted to go in and get the most out of myself; that’s why I love competing. I love going out there, pushing myself, and pushing the limits to see how for I can go and how quickly I can cross that finish line.